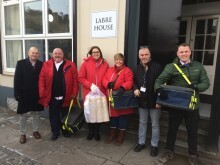 Virgin Trains delivers 100 Scouse meals to The Whitechapel Centre for the homeless in Liverpool to mark Global Scouse Day. Virgin Trains has launched its first ever capped fares of £29* between Leeds and London, meaning customers can bag a bargain when buying up to a week in advance. 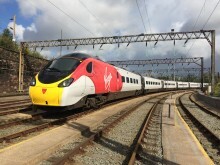 With immediate effect, Virgin Trains on the east coast will launch the first scheme of its kind to its customers travelling direct between Leeds and the capital. New figures from Virgin Trains show journeys between Chester and London have broken through the half a million mark, setting a record for the number of journeys taken by train. 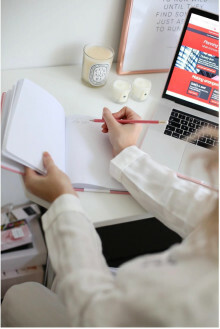 People in Leeds are allowing mounting to-do lists to pile up until after June and wish they were wiser when it comes to personal admin, according to new research from Virgin Trains. A new timetable by Virgin Trains will see the biggest boost to Saturday services in more than 25 years from today (Saturday). More frequent services to and from destinations including Leeds, York and Edinburgh will mean customers will benefit from a similar frequency of services to those enjoyed on weekdays. 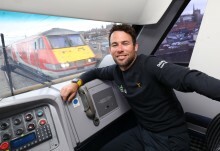 World Champion cyclist Mark Cavendish MBE jumped into Virgin Trains’ driving seat as he sped up the country to the route launch for the Tour de Yorkshire 2018. A Virgin Trains employee at Carlisle is gearing up to take part in his first ever cycling challenge halfway across the world, whilst raising thousands of pounds for charity. 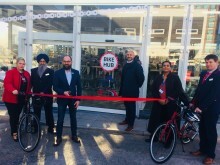 Virgin Trains new Bike Hub at Coventry station, which offers 150 new secure and covered bike spaces, was formally opened today, marking the end of a project that has delivered an additional 574 secure spaces for cyclists on Virgin Trains’ West Coast route.